On the early morning of July 7, Ambassador Lyu Jian, Mr. Chen Xiongfeng, head of the Chinese government’s joint working group and Deputy Director-General of the Department of Consular Affairs of the Chinese Foreign Ministry, Consul-General Zhou Haicheng of the Chinese Consulate General in Songkhla visited the Chinese compatriots injured in the capsizing of tourist boats in Phuket and their family members at the Phuket Provincial Hospital. 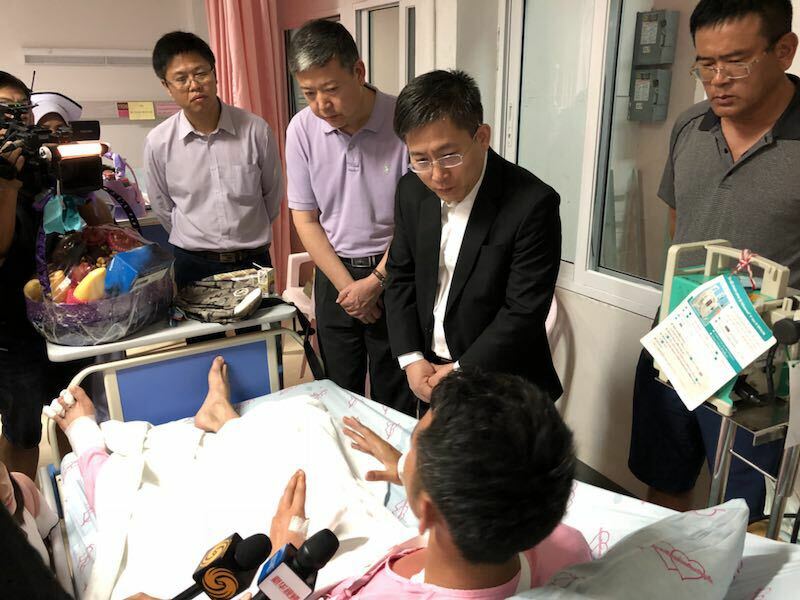 Ambassador Lyu Jian asked about the health condition of the injured and their company, and told them that President Xi Jinping and other leaders of the central government and state council are all concerned about their safety and treatment. President Xi Jinping and Premier Li Keqiang have given special directives, calling for all-out efforts in searching, treating and dealing with follow-up matters. The love among people will triumph over the ruthless wind and rain. 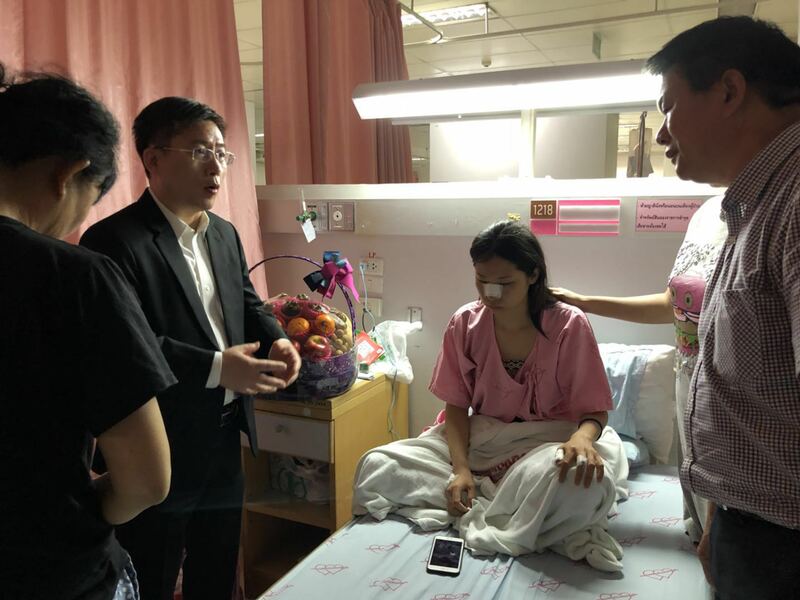 Ambassador Lyu asked the injured to rest assured as they have the full backing of the Party and the motherland. We will do our best to safeguard the Chinese tourists’ legitimate rights and interests. The Thai side has already mobilized air-sea-land forces to carry out the search and rescue operation, and also attaches great importance to the treatment of the injured. It is hoped that the injured would set their mind at rest and recover soon. The injured at the hospital and their family members thanked the joint working group for conveying to them the greetings from motherland. They said that the Embassy and the Consulate General are the places that they can fall back on in their moments of weakness, hoping that they could have their legitimate rights and interests protected under the guidance and help of the Embassy.